Hopkins Architects' design for the new Brent Civic Centre has started on site. 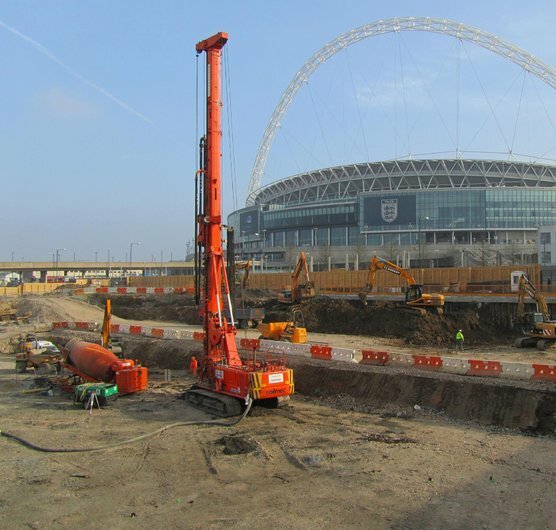 The new building is being constructed adjacent to Wembley Arena and Wembley Stadium by design and build contractors Skanska who were appointed in late 2010. Hopkins are retained to develop the design as novated architects to Skanska. The project is due for completion by the end of 2012, and will realise Brent Council's vision for a community building consolidating the efficient delivery of services to Brent's diverse communities and paving the way for regeneration of the Wembley Masterplan northern area. Building on our success with the recently completed Customer Service Centre for Hackney, Brent's new Civic Centre will further push the boundaries for a sustainable model of civic buildings delivering public services providing a wide range of community facilities under one roof, as well as accommodating 2,000 council staff and councillors.